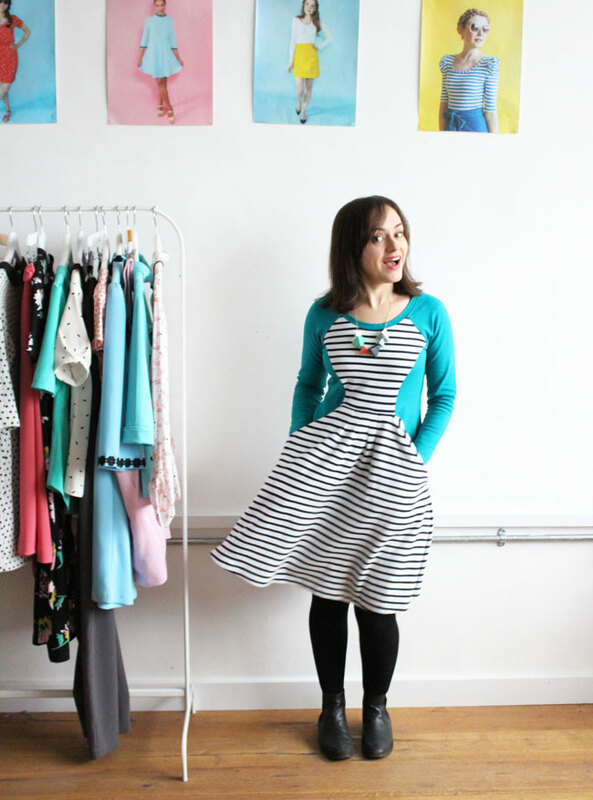 The Zadie sewing pattern was a labour of love for us. The unusual style lines meant it was a complicated pattern to draft, fit and format, as any teensy change to one pattern piece had a knock-on effect on nearly every other piece. We took our time, and it was soooo worth it. 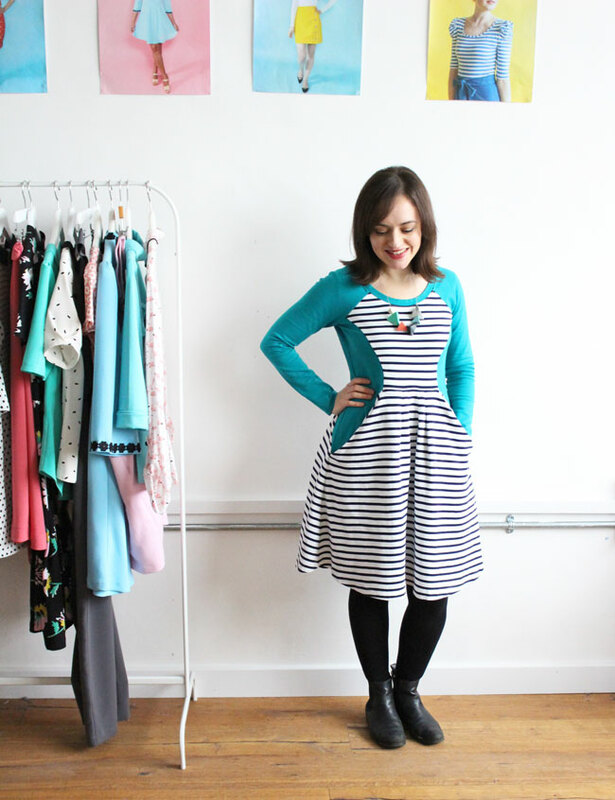 Any time we got stressed about the amount of time and effort it was taking, I wore one of my Zadie dresses into the office and it all felt worthwhile. I reeeeally love this dress! 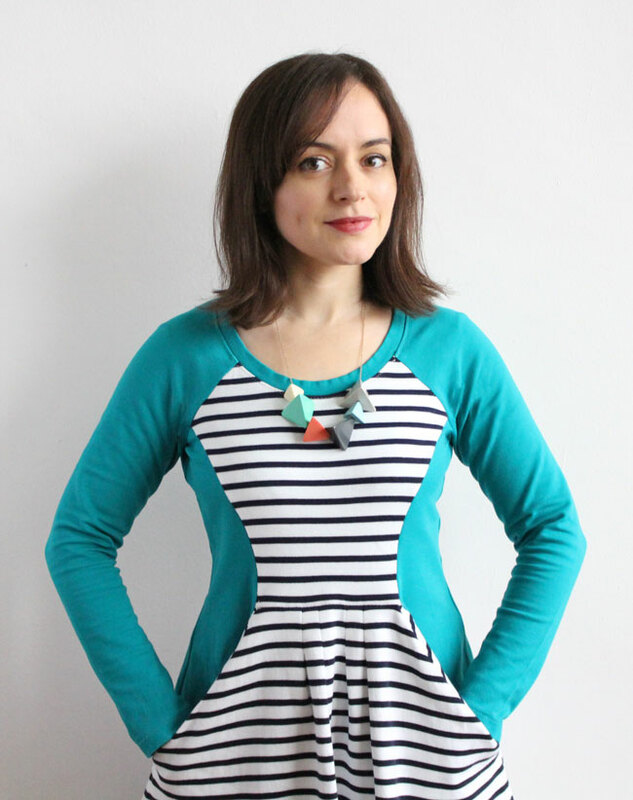 I've made four versions of the dress for myself so far - one solid red, one black and white, one in stripes, teal and pink (the same one demonstrated in the instructions), and this one - teal and striped ponte. 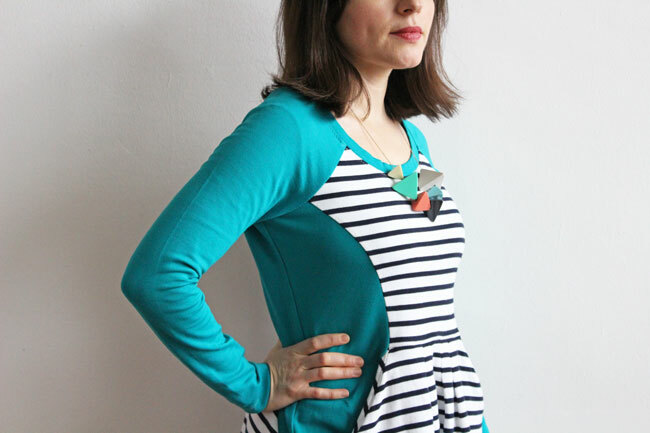 It's such a great pattern for combining different colours and prints. 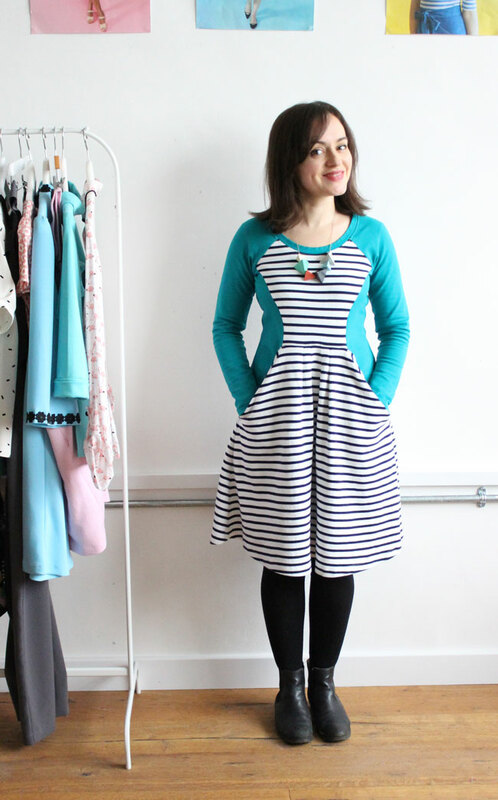 What I love about this dress is that it's so easy and comfy to wear, yet the design makes you feel instantly put together when you throw it on. And let's not forget those pockets. So useful for keeping your phone and other essentials on you - and great for warming your hands! Zadie Colouring Sheets... Free Download! 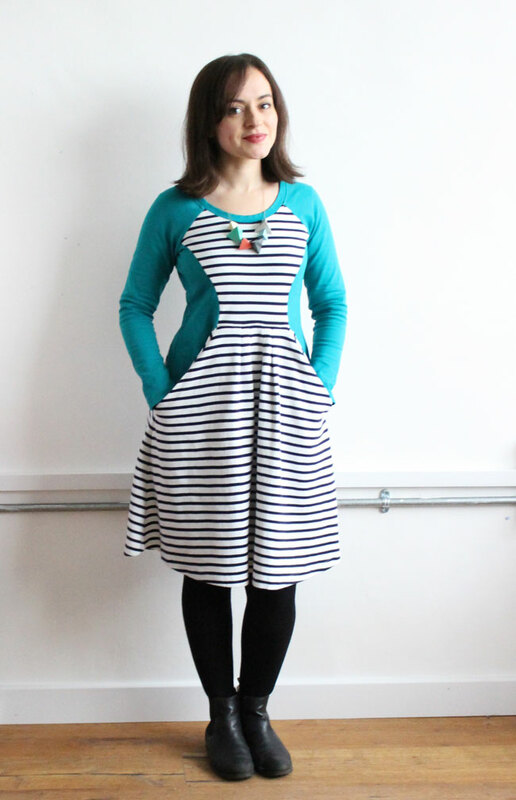 Meet the Zadie dress pattern!